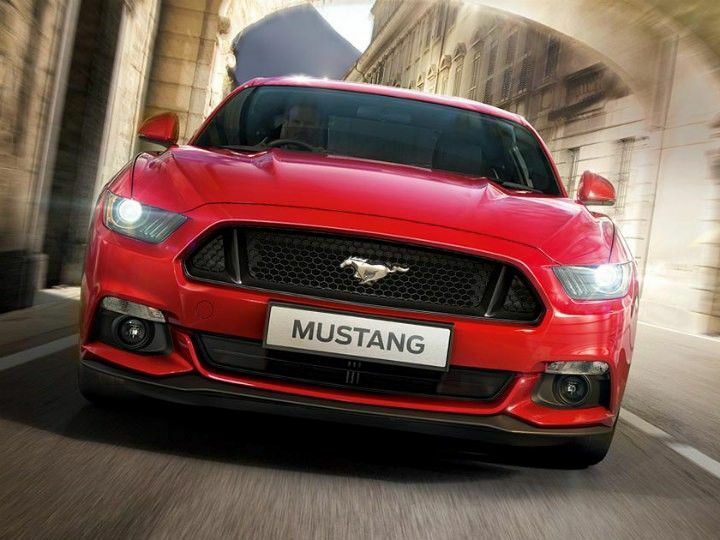 Ford is all geared up to launch the latest version of its iconic Ford Mustang in India, on July 13, 2016. The car was showcased back at the 2016 Indian Auto Expo for the first time and received immense attention from spectators. And rightfully so, as that was the first time that ‘the Pony’ had landed officially in India. More importantly, it is expected to be priced very competitively because of the low initial price that the car carries in the US market. The price could even lie below Rs 95 lakh, making it the cheapest two door coupe with more than 400PS of power that India had seen in the past five years. Ford will be launching the top of the line GT trim, which gets a lot of standard features, including the 5.0-litre Coyote V8 motor. The motor is renowned for its characteristic V8 sound and is a naturally aspirated petrol unit tuned to produce 432PS of power. It is mated to a 6-speed dual clutch automatic transmission. The India-specific car will also feature a standard performance pack, which is expected to boast better brakes, stiffer suspension, and a performance rear differential. Aesthetically, the Mustang is arguably one of the best-looking cars ever made. The design is something which is symbolised as every sports car designer’s dream: a long hood, raked front screen, that dropping roofline and a short tail make for drop-dead gorgeous styling. The current generation executes the classic Mustang appeal in a very contemporary manner with a host of classic bits like the tail lamp cluster setup, etc. Just like the exteriors, the interiors stay true to the Mustangs of the classic era. The symmetrical dashboard, the retro toggle switches, the circular AC vents are all reminiscent of the classic Mustang. In addition to this, it is also expected to get the latest SYNC infotainment system from Ford. Leather bucket seats, ambient lighting, two rear seats and a usable boot are among other features. The Mustang has no direct rivals in the country, however, since the German sports cars are very expensive, it could satisfy Indian sports car buyers’ need at a comparably lower price point. Share your experiences with Mustang?